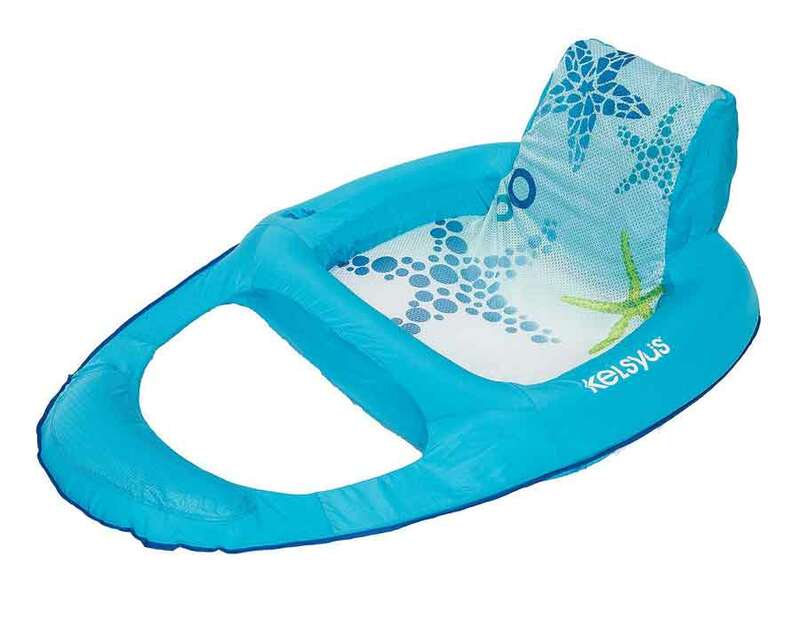 Comfort Floating Lounger pool float features a satin soft fabric cover and a patented inner spring around the outside edge for the comfort and stability. The soft mesh seat suspends your lower body just below the surface of the water, keeping you cool on hot days. The floating comfort lounge includes an integrated backrest, headrest, cup holder and ottoman so you can kick back in the pool, lake or river in style. Side clips allow tethering to dock, boat and other floats. 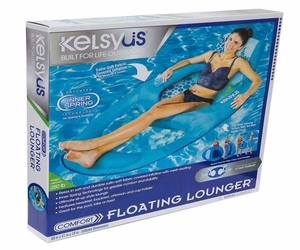 The Kelsyus Comfort Floating Lounger folds flat into three compact circles for easy storage. Features: Comfort floating lounger Comfortable and stable Patented inner spring Soft mesh seat Integrated backrest Measures 60" x 41" x 18.5" Supports adults up to 250 lbs.